Sheepy Magna is a village in Leicestershire, about 17 miles west of Leicester. The Anglican Church was divided into two medieties (parts), each with its own rector and patron, known as North Sheepy and South Sheepy. There were also two townships, Sheepy Magna and Sheepy Parva, which lay east and west of each other, not north and south. South Sheepy had a chapelry at Ratcliffe Culey. The villages of Sheepy and Ratcliffe were probably included together in the return of 1676, where 3 dissenters were noted. They may have been from Ratcliffe Culey, where the house of Nathaniel Heele, a Presbyterian, was licensed for dissenting meetings in 1672. An elderly Quaker (aged 84) was the only dissenter living within any of these villages in 1706. Independents built a chapel in the village in 1816. This contained 90 sittings, all free, and 30 standing places. The 1851 Religious Census recorded a congregation size of 50-60 at an evening service held on the day of the census. There was no Sunday School. Leicestershire directories confirm the continued presence of Independents until 1863. By 1881, this group of worshippers were calling themselves Congregationalists. 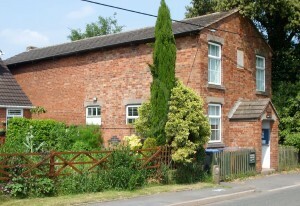 The chapel was sold in 1922 to trustees, who built an extension at the back to create a larger building for use as a village hall, known as Sheepy Memorial Hall (pictured). There is a local history society at Sheepy Magna, who published a history of the chapel and hall in 2015, to mark the bicentenary of the opening of the original chapel. No meeting houses were noted in 1829, and no response was received from any chapel to the 1851 religious census, and no nonconformist chapels are noted in 19th- or early 20th-century trade directories. 1851 Religious Census, Sheepy Magna, Independents, HO 129/397/18. PO Dir. Leics. (1855) p. 113; White, Hist. Gaz. & Dir. Leics. (Sheffield, 1863) p. 711. Kelly’s Dir. (1881) p. 707.